Anyone who's gone through the experience of carrying a child knows that despite the moments of stress and exhaustion, the excitement of bringing a new addition into the family is something worth celebrating—especially if it's your first one. And as each passing day brings you closer to the due date, more likely than not, you've scheduled a maternity shoot to mark this milestone. However, planning your outfit can feel easier said than done. If you're looking for an effortless way to show off your bump, there are plenty of maternity dresses practically made for photos. 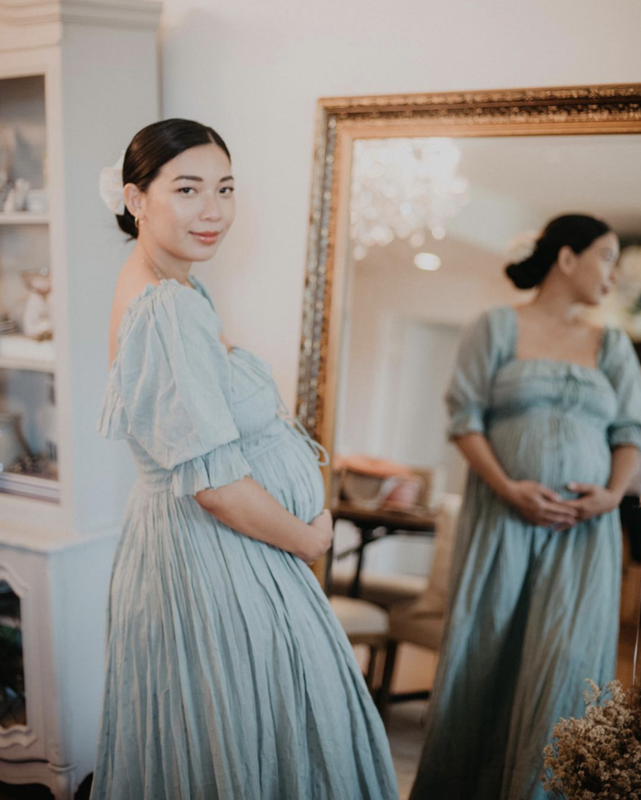 Shopping for your maternity shoot can be daunting, especially when you want to show off your bump, but when you have stylish dresses to slip on, you'll be able to devote more time to other aspects of your photos. To give you a starting point, we've gathered 16 dresses that will always look good in photos, no matter what. Shop them all below. A kimono dress is simply classic. For your more formal photos, wear this lace-and-velvet dress. An off-the-shoulder dress will feel so polished. If you're taking photos outdoors, this dress will look so pretty. Add a pop of color to your maternity photos. Though technically not a maternity dress, many expecting mothers opt for these flowing dresses during their pregnancies. This dress is right on track with the season's biggest trends. Add a pair of mules or pumps and you're set to go. This red dress is simply breathtaking. Style this dress with a pair of over-the-knee boots for a classic everyday ensemble. A classic LBD will be timeless in photos. This is perfect for your dressier occasions. This will feel so cozy around your bump. A floral-print dress is always welcome. You'll get so many compliments wearing this kimono-sleeve dress. A step up from your average LBD. Once the shoot is over, change into these comfortable leggings to wear until your due date.